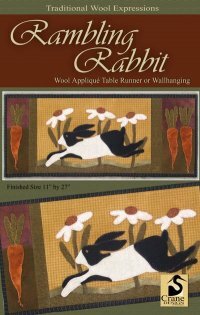 Rambling Rabbit cotton and wool kit. All applique pieces are wool and background is flannel/cotton. Includes original pattern by Crane Designs. Finished size is 11 x 27". 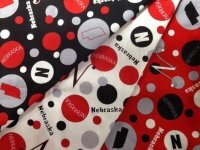 The annual Nebraska Shop Hop starts April 9th and runs through April 19th. Follow the Dots to Fun is the theme and fun new & unique ideas is what you will find. Each shop will have a specially designed Pin Dot for the hoppers. We still have a few Shop Hop bags if you want to participate. Use your bag throughout the year on a 5th Saturday of the month for super savings of 20% at participating shops. Stop by to see all of our wonderful polka-dot quilts and collect your pin during the extended hours for the hop. 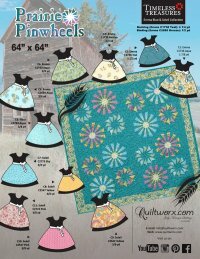 Anka's Treasures-features tablerunners and small quilts in the unique style that only Heather Mulder Peterson has. The Quilted Forest-features easy and fun tablerunners that are on small laminated cards-wonderful little gifts-even for yourself. 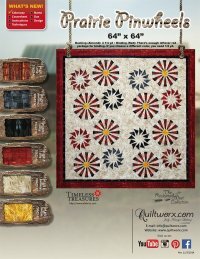 Downtown Abbey-everything from bags to quilts featuring the fabrics from the latest Downtown Abbey lines. 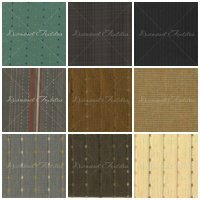 We just received a shipment of awesome new homespun fabrics. This is the first part of several to come and we can't wait to start working with them. All are 100% cotton and look warm and inviting-perfect for that primitive or country look. June 11. The times and prices will announced soon.